Portland used to be one of America’s best kept secrets. But now, the secret is out: it’s no longer the capital of cool just among hipsters; it has evolved into one of the most desirable American cities to visit, and even live. Don’t believe us? Ask the US News and World Report, who recently ranked Portland as one of the best places to live in the US in 2018 – above bustling San Francisco, New York, Los Angeles, and Chicago. So what’s the hype all about? Portland soars above the rest in terms of its livability, exploding culture scene, and close proximity to both the ocean and mountains. So when it comes time to plan the perfect weekend in Portland – whether you’re a native or just here for a visit – it’s pretty challenging to choose just a few spots and activities. That’s why we did the hard work for you. Here’s how to have the perfect weekend in Portland, and experience all it has to offer – from its never-ending culinary choices, to its spectacular nature, to its hidden secrets. Before you venture out on your Portland adventure, make sure you’re properly fueled. And since Portland is known for crazy brunches, and even crazier wait times, you’ll want to go somewhere that takes reservations. Head over to Il Solito, which has a fresh weekend brunch menu that debuted this year. Choose from the balsamic glazed fried eggs, breakfast pasta (!! ), and the impressive assortment of delicious toasts, ranging from avo toast to the nocciolata toast with bacon jam, hazelnut, banana, and rosemary. Need we say more? Portland is known for its enchanting parks – so much so, that you could plan your entire weekend just visiting them. But we’re all about efficiency, so we propose a park hop, so you can experience all of Portland’s beauty just in time for lunch. First, we suggest experiencing jungle paradise at Forest Park, the country’s largest urban jungle. Hike around the beautiful trails, and check out Forest Park’s breathtaking waterfalls and bridges. Then, head over to the International Rose Test Garden, which has over 4.5 acres of stunning rose gardens. 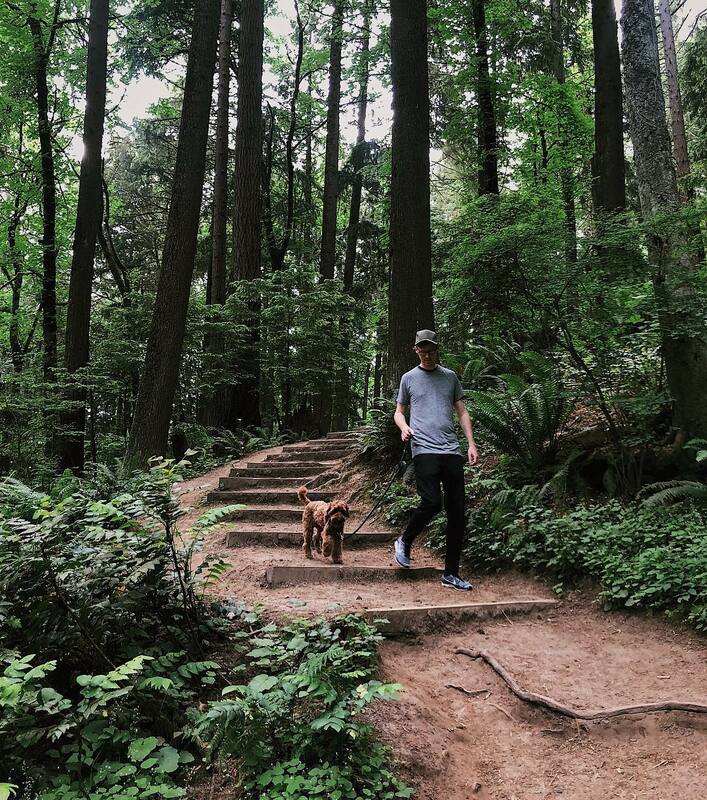 Here, you’ll see why Portland is dubbed ‘Rose City.’ Spoiler alert: There’s one more park we suggest you visit today, but we’ll save that one for later. By this point, you’ve probably worked up quite an appetite. Perfect timing to grab lunch at one of Portland’s most delicious spots – 9th Ave & Adler St, aka food cart heaven. With a diverse range of cuisines and dishes, it can feel impossible to choose just one. We recommend going for one of these carts – or if you’re ambitious or with a group, sample ‘em all! Head over to Nong’s food truck, and sample her iconic Khao Man Gai, a scrumptious chicken and rice dish. We also rec 808 Grinds, a Hawaiian cart with their signature kalula pig (pulled pork served with macaroni salad and rice). And if you still have room, grab a Ban Mi from the Jian Bing cart. Your tastebuds will thank you, we promise. After grub, head riverside and enjoy two of Portland’s most popular spots: Tom McCall Waterfront Park (yep, there’s that last park! ), and Portland’s Saturday Market (fun fact: also open on Sundays!). After strolling along the Willamette River, you won’t want to miss the biggest arts and crafts fair in the country. Browse more than 250 local vendors selling handmade goods and arts and crafts, against a backdrop of pleasant live music. There are tons of unique, one-of-a-kind pieces to choose from, such as vegan soap, sustainable creative yoga wear, and vintage jewelry. Pro tip: Make sure to bring cash with you, because several of these local vendors don’t accept cards. As of late, several galleries have been popping up around the City of Roses that are definitely worth a visit. If you’re interested in local art, head over to Blackfish Gallery, which showcases artists from around Oregon and Washington. They even host a featured artist at the gallery during all business hours, giving you the opportunity to discuss current offerings with the creators themselves. And if you’re interested in international artists, visit the Elizabeth Leach Gallery, which hosts the most comprehensive selection of contemporary art in all of Portland. It’s Saaaaturday night, which calls for some delicious food and even better vibes. Look no further than Atula, a modern Spanish gastropub with a warm, inviting atmosphere and lively dining room facing an open kitchen. They serve up delicious tapas, that combine Spanish and Catalan flavors with fresh, local ingredients. Yum! Sample the tortilla de patatas, fried quail egg, and their signature paella Atula, all perfectly fit for foodies. And try out their Spanish wines, which offer a perfect pair for any dish, or their unique, savory sangria. For post-dinner drinks, there’s no better spot to experience the Portland wine scene than Southwest Wine Collective. This iconic Portland joint was founded by Kate Morris and Thomas Monroe, in response to the growing public interest in the urban wine movement in 2012. Now, it serves as a hub for Oregonian wineries (of which there are many) to showcase their delicious local wines to natives and tourists alike. So grab a seat at this low-key, urban wine bar and order a glass of local wine, or even a signature flight, to top off the perfect Saturday in The City of Roses. Sunday is roadtrip day, which means little time for a sit-down breakfast. For the perfect grab-and-go meal, head over to Ken’s Artisan Bakery to pick up some goodies. The founder of the restaurant, Chef Ken Forkish, was nominated for outstanding pastry chef by the James Beard Foundation, and it really shines through. They’re famous for their croissants – from their simple pure butter croissant, to their herbed goat cheese & leek croissant, to the raspberry rose flavor, it’s impossible to choose just one. And don’t even get us started on their homemade bread varieties. Portland has so many fantastic sites within an hour of the city center, it’s difficult to choose just one. Our pick for your half-day trip is Milo McLever State Park, just 40 minutes outside of Portland. There’s something for everyone here – you can spend the morning kayaking along the river, fishing on the pleasant dock, going for a hike, or even playing the year-round, 27-hole disc golf course. And if you’re looking to stay a bit longer, the campgrounds has plenty of spots to park a tent for a camping trip. But if you ask us, our pick is visiting this serene escape for the morning, and heading right back over to exciting Portland. Yeah, we never waste a second. After a busy morning exploring Portland’s outskirts, you deserve a delicious lunch. No better place than Luc Lac, Portland’s go-to spot for top-notch modern Vietnamese. They serve up the best Pho in all of Portland, made from the owner’s grandma’s secret recipe, as well as scrumptious spring rolls, salads, and vermicelli bowls. Expect quick service, affordable prices, and a busy atmosphere. 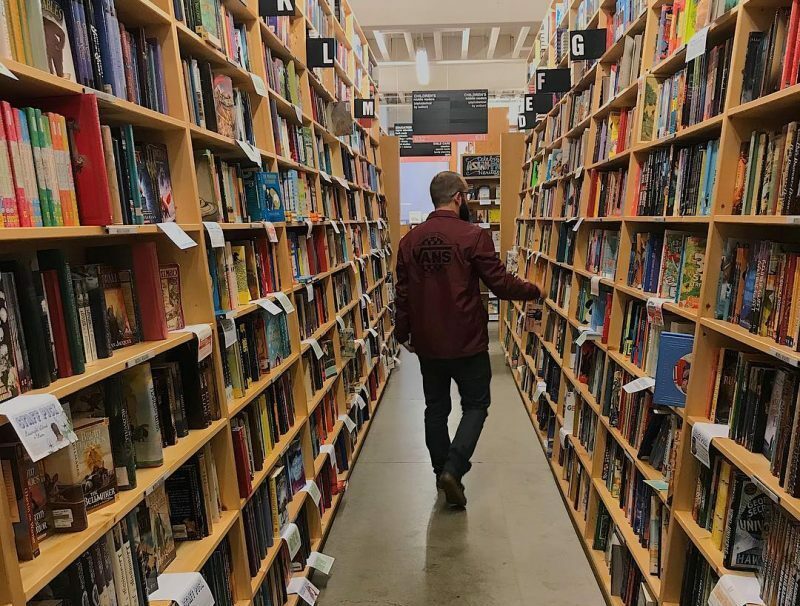 Since you’re already in the trendy Pearl District, head over to one of Portland locals’ favorite shop: Powell’s City of Books, one of the best rare books shops in the country. Even if you don’t like books, there’s something here for everybody. Browse around the different themed rooms and get lost in the quiet bookshelves, where you can find a great selection of every type of book – new, used, obscure, bestseller, rare, paperback, the whole nine yards. Sample a fresh cup of coffee in their in-house coffee shop, or grab a board game and stay a while. It’ll be an experience for the books. No weekend in Portland is perfect without a visit to Salt & Straw, one of the most well-loved spots in Portland. It’ll give you the perfect sugar boost for your busy day exploring Portland’s treasures. They serve up homemade ice cream with funky, unique flavors, such as roasted strawberry coconut, almond brittle with sea salt ganache, and honey lavender (a crowd favorite!). Expect crazy long lines, but we promise, your tastebuds will thank you. Quite literally – they’re famous for handing out free samples while you wait! Look no further than Olympia Provisions for a delicious meal that’ll have your tastebuds dancing. Housed in a sleek industrial space, Olympia Provisions serves up unforgettable locally sourced meats and seasonal vegetables against a backdrop of a romantic European ambiance. The charcuterie board and cheese boards are absolute musts, and the extensive wine list offers several perfect pairs to the high-quality meat. Best part? The prices won’t make a serious dent on your wallet. For the perfect Sunday night activity, head over to historic Hollywood Theatre. Situated in the historic Hollywood District (no coincidence there), this landmark theatre offers the ultimate old-time theater experience. They feature a strong mix of current blockbusters, indie releases, and special programming that you won’t find at any ordinary movie theatre. Not to mention, it’s one of the few theaters left in America with a 70mm film projector, offering an unforgettably unique experience. So sit back, relax, and enjoy a film in this historic establishment. After your long weekend, you deserve it. Perfect weekend, complete. We wouldn’t be surprised if you catch the Portland fever, and come running back for yet another fantastic weekend here. A quick note: Before you set out to explore this fantastic city, make sure to get your stuff (read: phone, bike, watch, etc) insured, so you can focus on your experiences, not your things. Take Lemonade for a spin. Oregon is the 17th state in which Lemonade is now offering renters and homeowners insurance. Get notified when Lemonade reaches your state at Lemonade Goes Nationwide. In honor of our Arizona launch, here’s your guide to staying cool while visiting the hottest spots in the Valley of the Sun. This 24-hour city guide, sourced from the best and brightest of Chi-town, proves that the Second City could be in the running for America’s number one city. 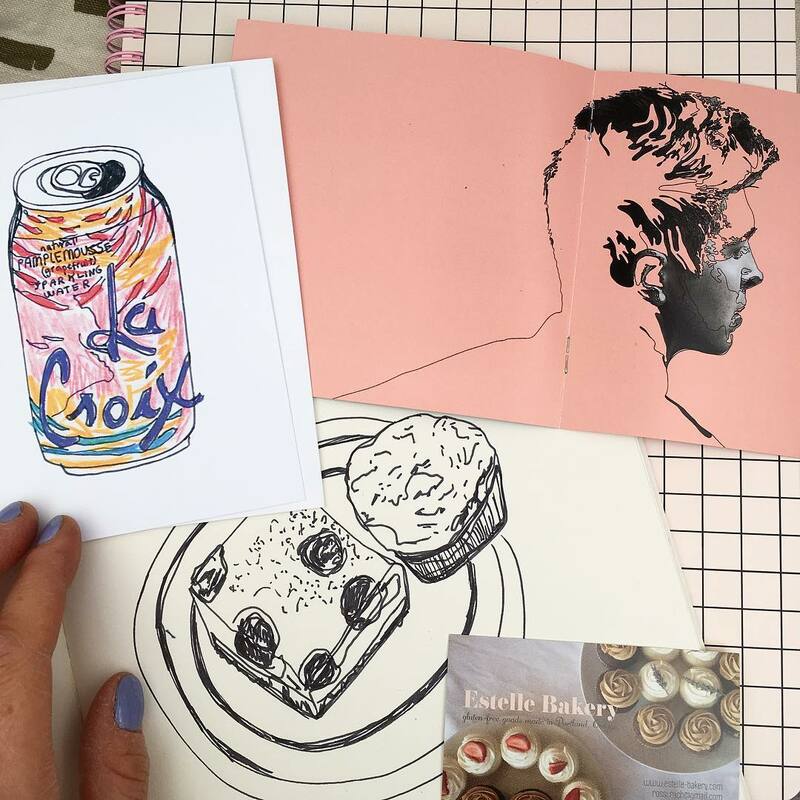 In honor of Lemonade’s Iowa launch, we pulled together this alternative guide featuring the various sights, places, and activities working in unison to make Des Moines the cultural jewel of the Midwest.